For as long as we can remember, we’ve been warned of all the drawbacks coffee can have on our lives; high blood pressure, insomnia, acidosis – just to name a few. Then science and technology team up and we’ve recently been hearing more and more good news about our favorite caffeinated brew. Studies are focusing all the health benefits coffee has, like boosting short-term memory, increasing concentration span, and reducing inflammations. So considering all the health benefits that coffee consumption has to offer, it’s best to drink in moderation. As a general rule, healthy adults can drink up to 5 cups of coffee per day, which comes to about 400 mg of caffeine. Caffeine blocks certain receptors on brain cells, which cause inflammation and cause many types of diseases and problems later on. This is also how coffee gets its stimulating “wake-up” effect. It also has a unique influence on your immune system. People who drink more coffee have fewer inflammatory molecules. Your nose knows a good thing when it smells it, and coffee is no exception. Just smelling coffee is enough to help lower stress levels. Ask anyone who’s had 1 or 2 cups of coffee as they’re studying for a big exam, or preparing for an important presentation, and they’ll tell you they were able to focus better after they’d drank their coffee. This is because caffeine helps your brain to function more efficiently. Research shows that it also increases your attention span, your ability to reason logically, and dramatically improves your reaction time. Research has also discovered that those who drink 3-5 cups of coffee on a daily basis had a 65% less chance of developing Alzheimer’s or dementia, as they grow old. 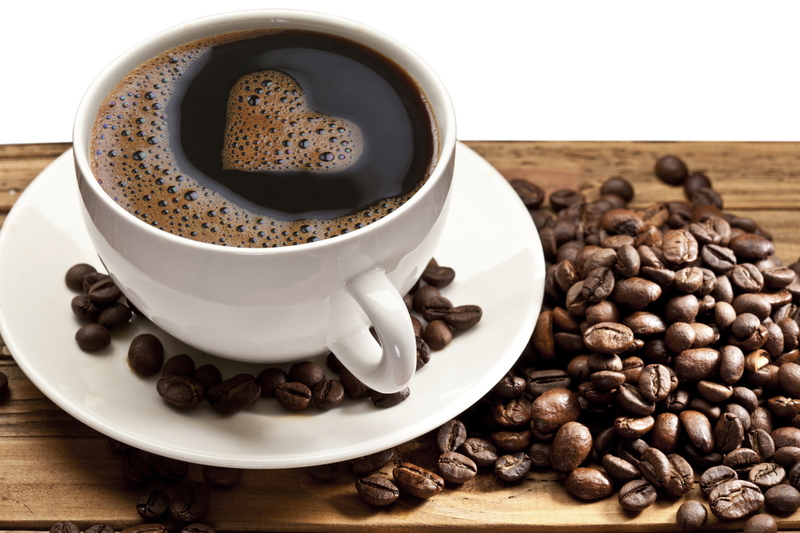 By drinking 1-2 cups of coffee per day, you’re reducing your risk of heart disease. The antioxidants in your coffee help reduce LDL levels, which means less fatty substances on the walls of your arteries – the main cause of atherosclerosis. Antioxidants, such as selenium, plus vitamins A and C, also lower your blood pressure, and help keep your arteries healthy and free of inflammation. A recent Harvard study showed that your risk of type-2 diabetes decreases by 9% for every daily cup you consume, and by 6% for decaffeinated coffee. And what’s more amazing is that the risk decreased the more coffee you drink. Just remember not to overdo it with the caffeine or sugar. You know that when you’re sluggish or tired, a cup of coffee will perk you up. However, the degree of rejuvenation you feel after a coffee break is undeniable. Caffeine acts as a pain suppressant and an anti-inflammatory, helping you to feel less pain and discomfort. Another thing to make you fall in love with caffeine even more is that it helps break down fat in fat cells which then the body uses it for fuel when you’re working out. Many studies have been carried out on how caffeine promotes weight loss, and they’ve found out that those who drink 12 ounces of coffee before working out burned 15% more calories than those who didn’t. And for up to 3 hours after exercising and when you’re not working out, drinking 1-2 cups of coffee daily boosts your metabolism 15 – 20%. Knowing all the good that coffee has to offer, it’s smart to keep in mind that everything has a dark side, so keep the sugar and creamer to a minimum or risk adding a lot of calories to a zero calorie drink (black coffee).